The Senate has confirmed President Barack Obama's nominee to be commissioner of the Food and Drug Administration (FDA). Senators voted 89-4 Wednesday to confirm Dr. Robert Califf after a handful of Democrats delayed action in a protest over the agency's inaction on the abuse of opioid painkillers. Califf was a prominent cardiologist and medical researcher at Duke University for more than 30 years. He has been the FDA's No. 2 official. With only a year left in Obama's presidency, Califf is tasked with wrapping up the administration's initiatives at the agency, including unfinished tobacco regulations and food safety and labeling reforms. He will also need to follow through on his pledge to re-evaluate how the agency regulates prescription painkillers like OxyContin amid an epidemic of abuse tied to those drugs. Earlier this week, Democratic Sens. Joe Manchin of West Virginia and Ed Markey of Massachusetts held a news conference blaming the FDA for enabling the opioid crisis. In 2014, U.S. deaths linked to misuse and abuse of prescription painkillers climbed to 19,000, the highest number on record, according to the Centers for Disease Control and Prevention. By its estimation, deaths tied to these drugs have risen more than four-fold since 1999 amid increased prescribing by U.S. doctors. "The FDA is part of the opioid problem when America is depending on it to be part of the solution," Markey said. Industry leaders were quick to offer their congratulations. Biotechnology Innovation Organization (BIO) President and CEO Jim Greenwood said that he applauded the confirmation, adding that the job carries tremendous responsibility in protecting public health and advancing biotechnology innovation. "Dr. Califf's confirmation comes at a time of tremendous advances being made in biotechnology and regulatory science, and I am confident that he will provide the stability, leadership and confidence the public seeks from an agency entrusted with such a critical mission," he said. “Dr. 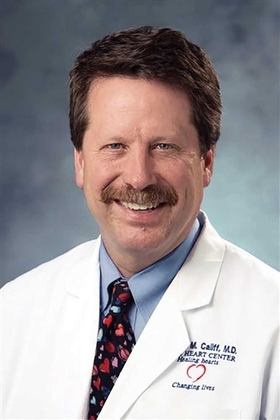 Califf is an acclaimed leader in the cardiovascular community who brings impressive medical knowledge, clinical research experience and leadership capabilities to the FDA. He has made important contributions to the field of medicine and has the vision required to lead the FDA in its efforts to promote and protect public health," said American College of Cardiology President Kim Allan Williams. For years, the FDA has made only minor changes to the way it regulates painkillers like OxyContin and Percocet, despite the record levels of abuse and death tied to the highly addictive medications. Former FDA head Dr. Margaret Hamburg repeatedly stressed the need to keep prescription opioid drugs accessible to patients with chronic pain. But in an unusual move as pressure mounted from the Senate, Califf announced earlier this month that the agency would rethink its approach. He pledged that the agency would add new warning labels to the most commonly prescribed opioids and require new opioid drugs to go before an outside panel of independent reviewers. "It's time we all took a step back to look at what is working and what we need to change to impact this crisis," Califf said in a statement. Manchin and Markey said it wasn't enough. They said that if Califf was confirmed, they would continue through other legislation to try and bring more attention to the problem. As head of the FDA, Califf would inherit a raft of projects and potential challenges, including unfinished tobacco regulations and food safety and labeling reforms. Hamburg left the job early last year. The FDA's chief scientist, Dr. Stephen Ostroff, is serving as acting head of the agency.